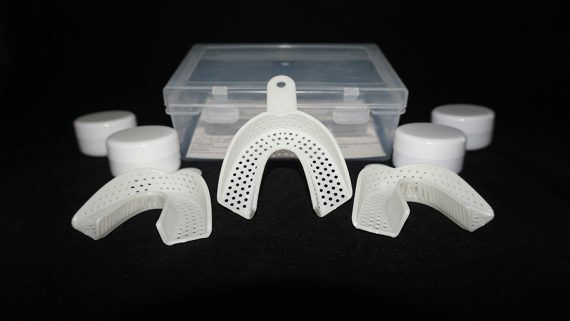 The impression trays are not sterilized and you will need to sterilize them prior to use. 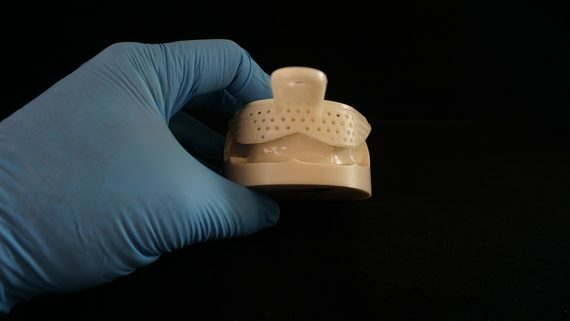 Follow these simple steps to sterilize your teeth impression trays. 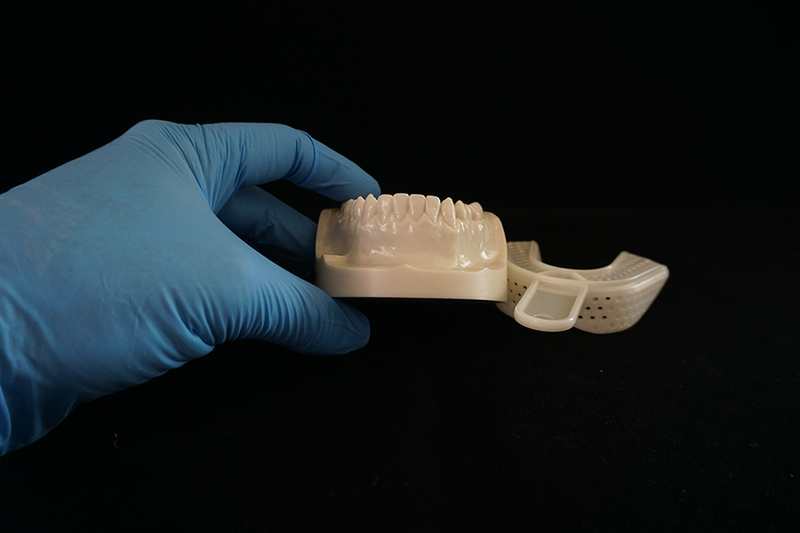 Rinse all impression trays thoroughly. 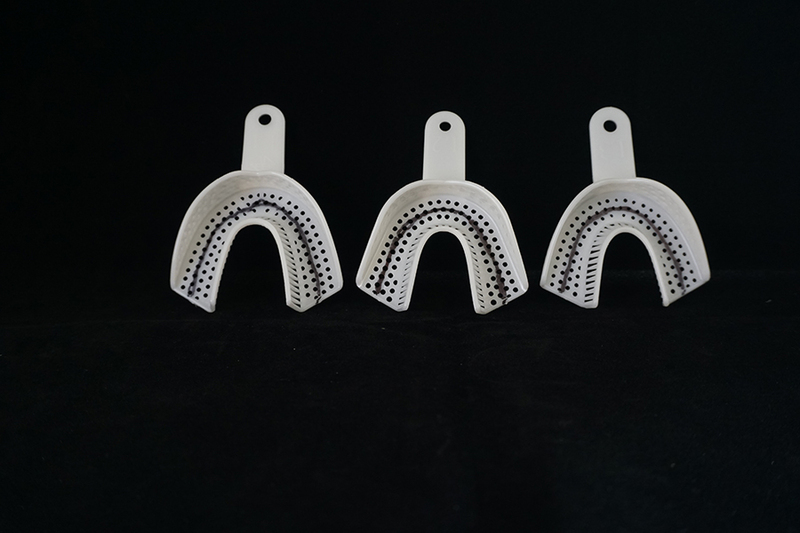 Brush out each impression tray for 2 minutes using toothpaste and a toothbrush, in a similar fashion to how you would brush your teeth. 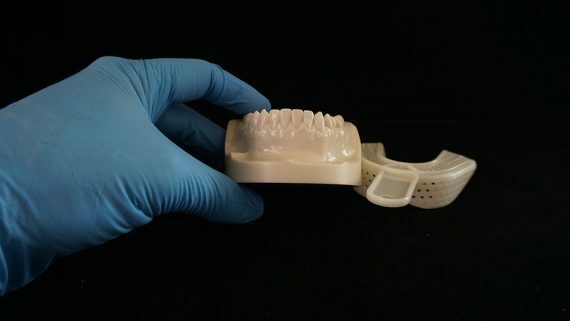 Rinse the impression trays thoroughly with water. Mix liquid dish soap into a cup or bowl of water. 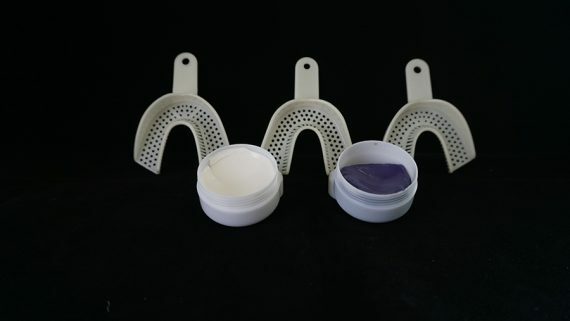 Submerge the impression trays in the soap and water mixture for 15 minutes using a timer. 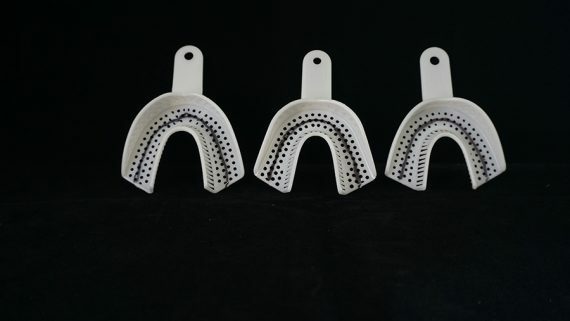 After 15 minutes, remove the impression trays from the soap and water mixture and rinse thoroughly with water. Lower Impression Kit. 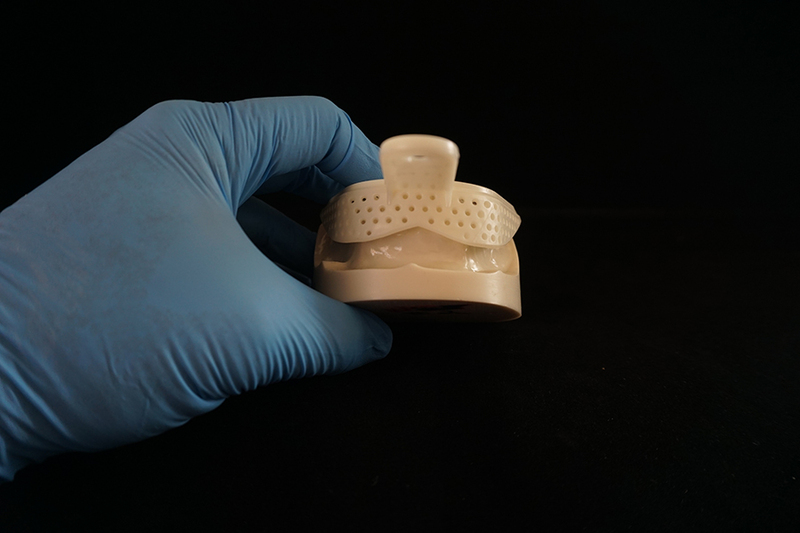 The impression putty, that is included with this kit, should be no warmer than room temperature when you use it or the putty will harden too quickly. Be careful where you store it. 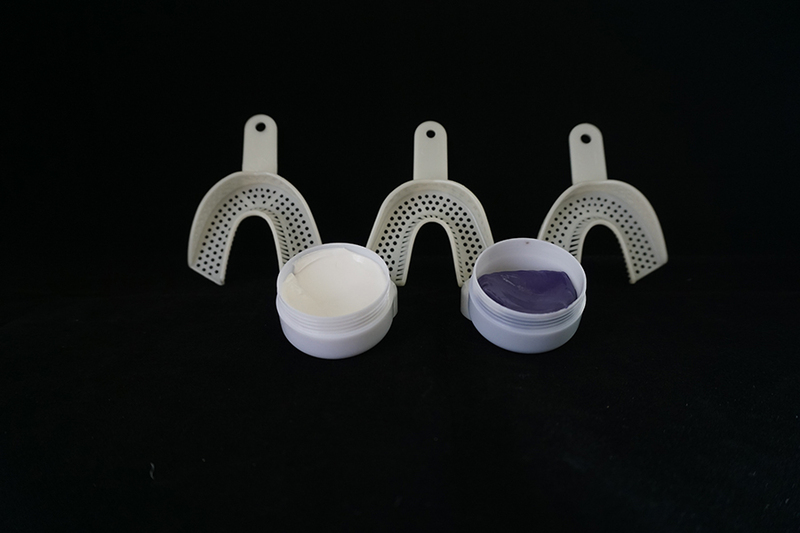 These are the supplies that are included in your impression kit but you will only need the 3 sizes of impression trays for this first step. Choose the tray that allows the outer edges of your teeth to fall on the black line in this picture so your teeth do not touch the edges of the tray. While using a mirror, try on each tray over the top of your teeth to determine which tray allows the outer edge of your teeth to rest on the black line in the photo above and space between your teeth and the tray. Once you have determined which size tray is best for you, set the other trays aside and click Next to proceed to Step 2.